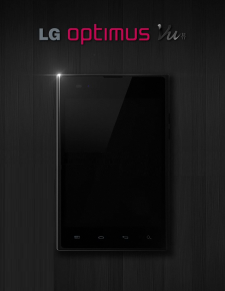 LG decides to take one step ahead from its competitor, announcing the LG Optimus Vu ahead from the Mobile World Congress (MWC) 2012. Similar to what we had previously reported, the LG Optimus Vu has a 5 inch IPS with's displays 1024 x 768 resolution pixels, a 1.5GHz dual core processor, a internal 32GB storage and a 2080mAh battery. It has an 8 megapixel main shooter with LED flash and a 1.3 megapixel facing camera's cadres. Other features include LTE, WiFi direct, HDMI and DLNA support. The device will be preloaded with Android 2.3 (Gingerbread) at launch, and LG plans to release an Android 4.0 upgrades within three months ’ time. On the surface, the Optimus Vu is slightly wider (90. 4 vs 83mm) than the Galaxy Note due to the is ratio aspect's standard 4:3 that LG is using's displays. It is also faintly thinner (8. 5 vs 9.7mm) and lighter (168 vs 178g) than its competitor. Plus, the phone will be adopting a. stylus technology's input.